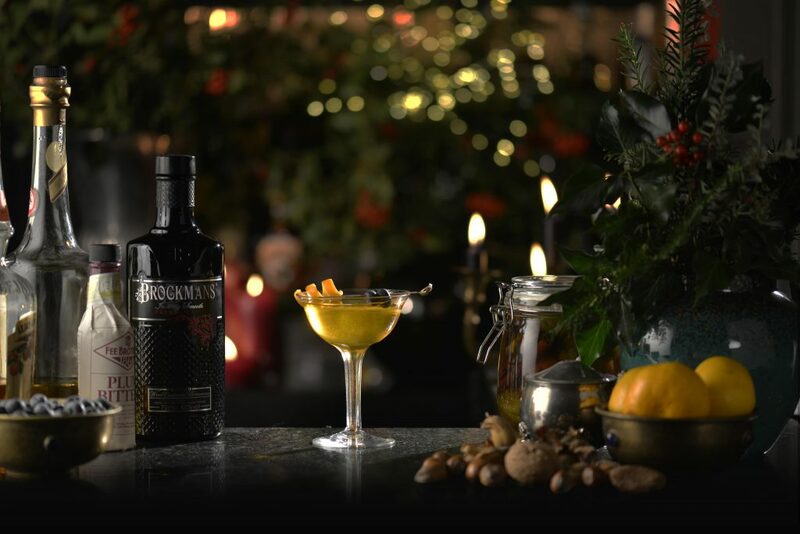 For the festive season, we are serving up some stylish and elegant gin cocktails. 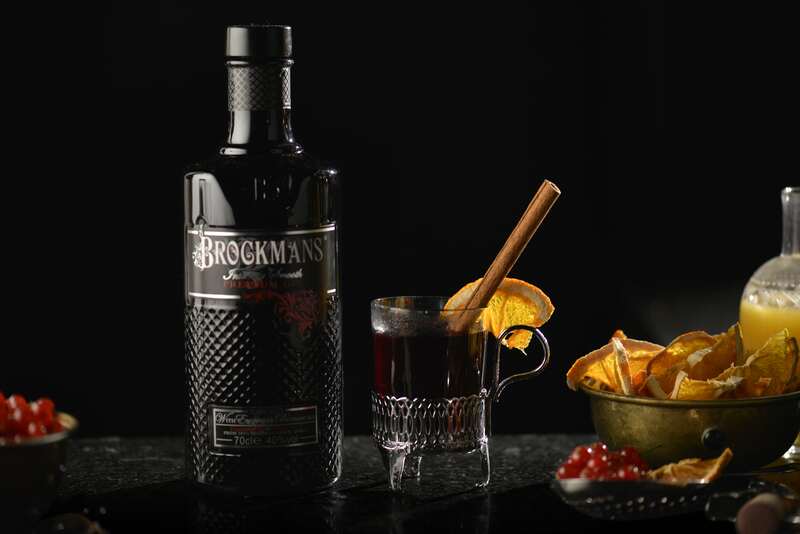 Each one of them draws out the blueberry and blackberry notes and the bitter-sweet Valencian orange peel present in our gin. 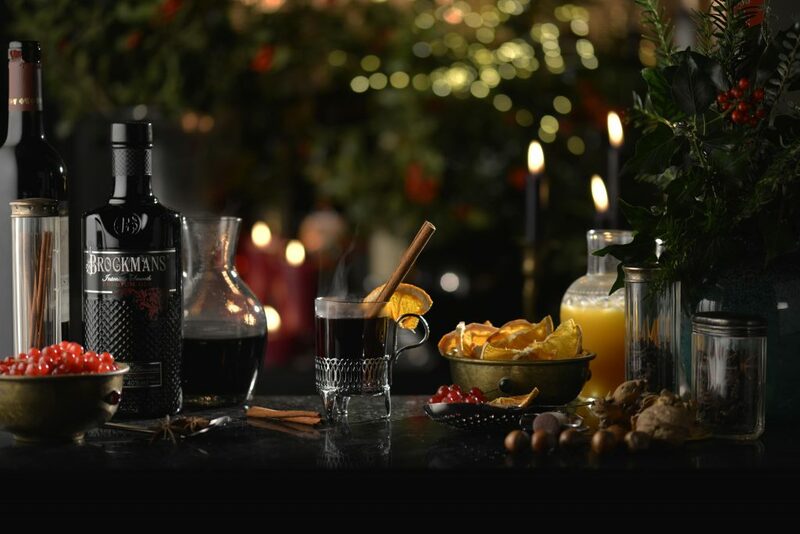 This is a wonderful wintery sip, with a refined and sophisticated complexity. Muddle the blackberries in a shaker and add all the ingredients then hard shake over ice cubes. Double strain the liquid into a martini glass. Garnish with a hibiscus plant outer leaf, a blackberry and thin plum slice on a wooden skewer or suitably dark edible flowers. 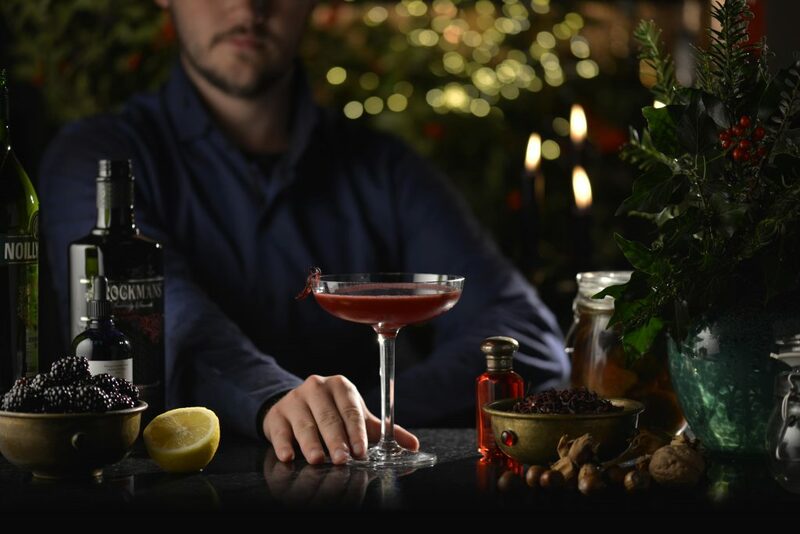 A smooth and heady golden cocktail that is elegant and delicious. Hard shake all the ingredients over ice cubes and strain into a coupette glass. Garnish with two blueberries and a twist of clementine zest. What sangria is to summer, this crowd-pleasing punch is to winter. Add all the ingredients to a slow cooker and stir to combine. If you like warm, winter spices you can add 5-6 star anise and cloves too. Set the temperature to high and heat for one hour. Reduce the temperature to low to keep it warm for up to 5 hours. *If you don’t have a slow cooker, simply place ingredients in a heavy-based casserole dish or saucepan, bring to the boil and simmer with the lid on leaving it on a very low heat for about 45 minutes without having a glass until your guests arrive! To serve, spoon into insulated glassware. Add a few seasonal berries, a stick of cinnamon and a dehydrated or fresh orange or clementine slice. Shake all the ingredients over ice cubes and strain onto crushed ice in a highball glass. 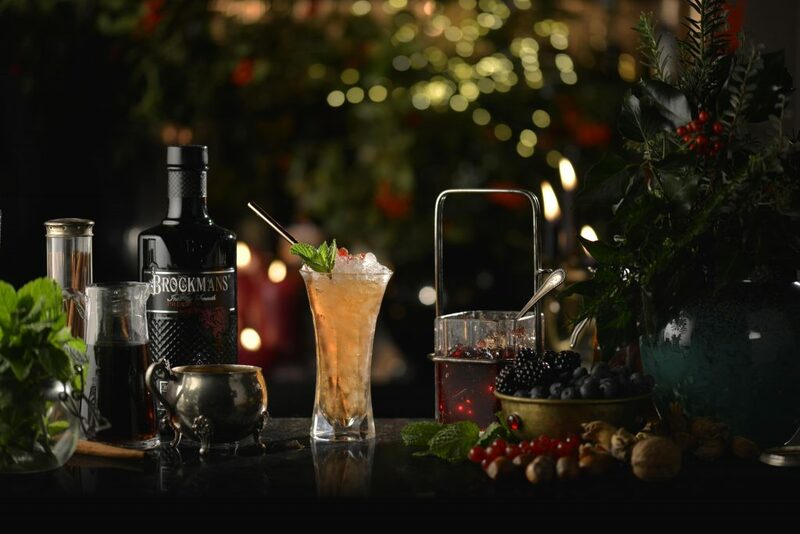 Garnish with a few seasonal berries, a sprig of fresh mint (if available) or a sprig of rosemary. To finish, sprinkle some ground cinnamon or mixed spice.